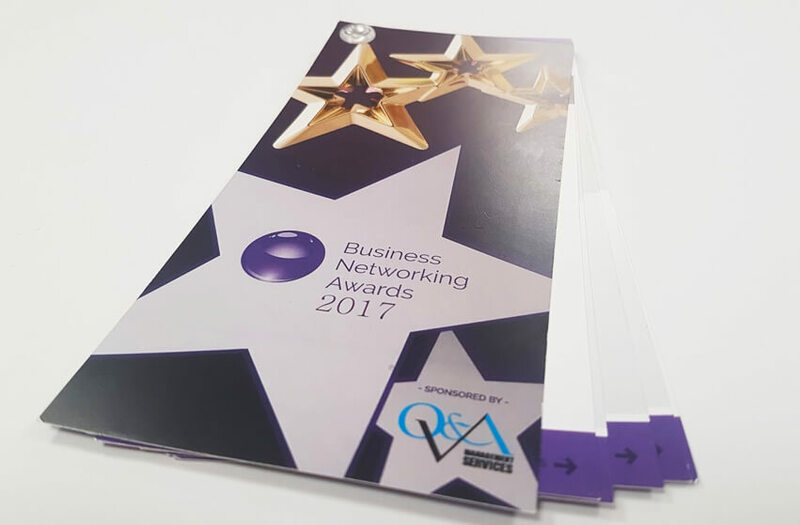 Raphael Wins at 2017 Business Networking Awards! On Saturday 11th March the much-anticipated 2017 Tamworth, Lichfield & Sutton Coldfield Business Networking Awards took place at the Tower Suite, Drayton Manor. It was a grand affair with over 170 individuals from the local business community in attendance. Throughout the night, twelve awards were presented alongside entertainment from comedian Sheila M and live tribute band Bad Medicine. 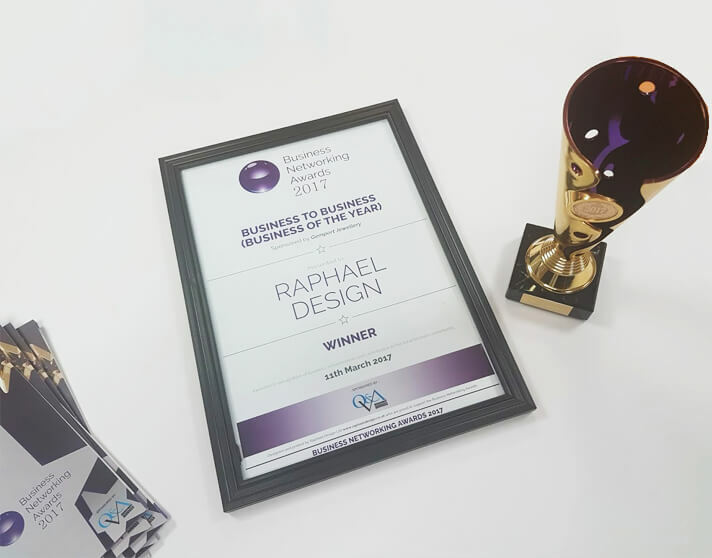 Raphael Design has had a long running association with the Business Networking Awards and its event organizer Dave Harper. For the past four years the Raphael team has been responsible for the production of the programmes and certificates that are used throughout the night. This year Raphael had been nominated for the Business to Business, Business of the Year Award. The competition in this category was particularly strong as, in total, twelve businesses had been shortlisted. 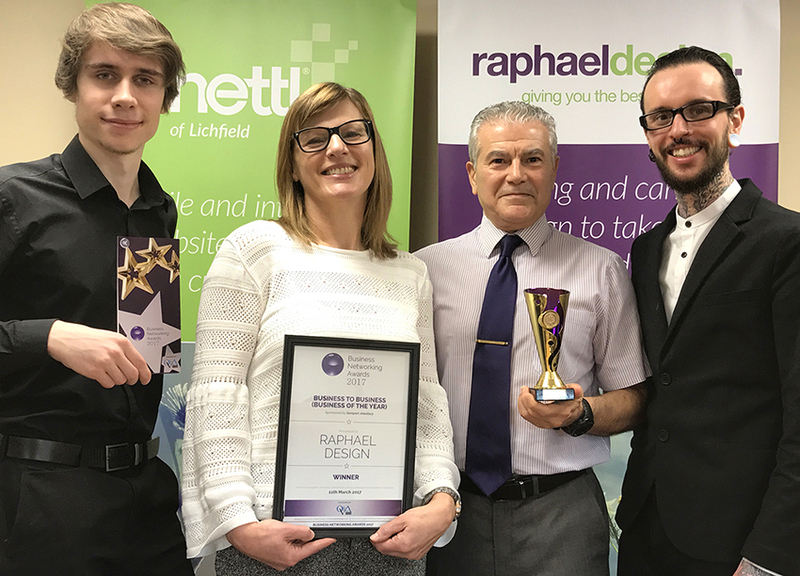 Consequently, tensions were running high when Dave Turner of Gemport Jewellery, who sponsored this award, finally revealed Raphael Design as being the winner for 2017. On accepting the award, Clare Lubrano, director of Raphael Design, said. Clare later returned to the stage to present the Extra Mile Award. 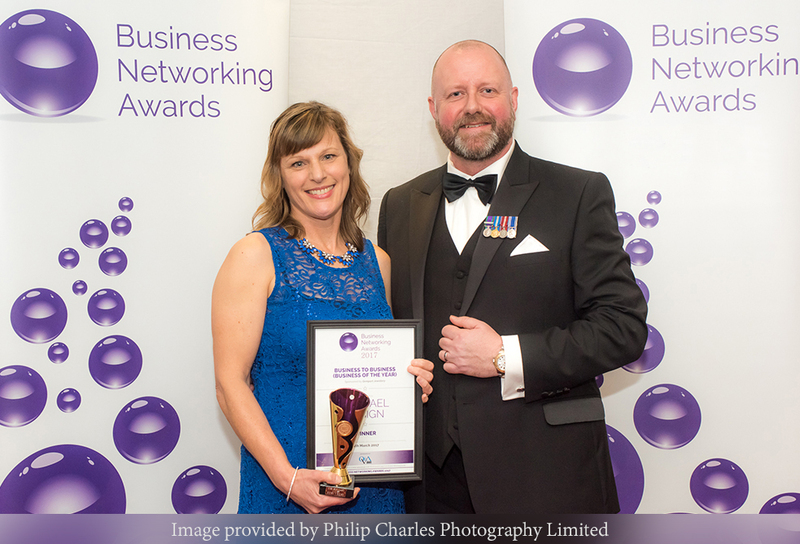 This was the first time Raphael Design had sponsored one of the Networking Awards. It was with great pleasure that Clare presented Jonathan Andrew with the highly commended accolade. 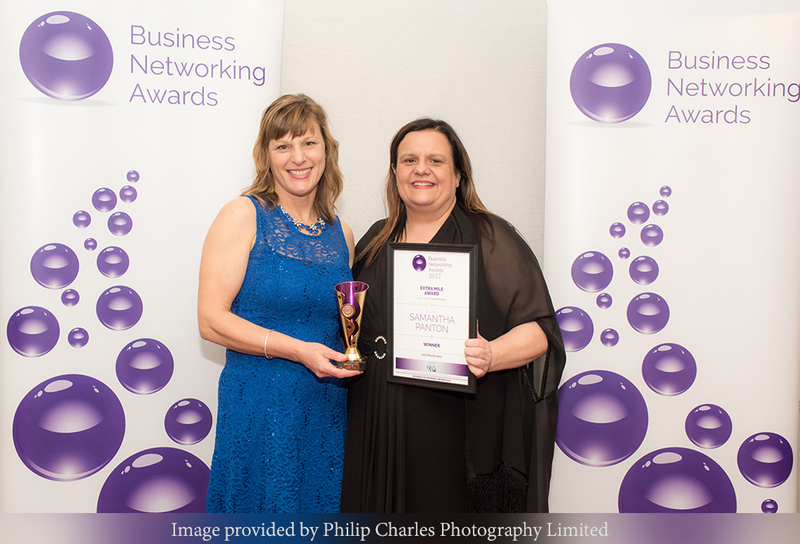 She then announced Tamworth businesswoman and owner of Roasters Restaurants, Samantha Panton, as the winner of the Extra Mile Award for 2017. The whole evening proved to be a great success. The profile of many local businesses was raised as a result of the event, with fifty companies having been shortlisted for an award in at least one of the twelve categories. A total of £2180 was raised on the night in support of Staffordshire based charity, the Buddy Bags Foundation. Plus everyone enjoyed a great night of entertainment, so congratulations has to go to Dave and his fabulous Networking Awards team.